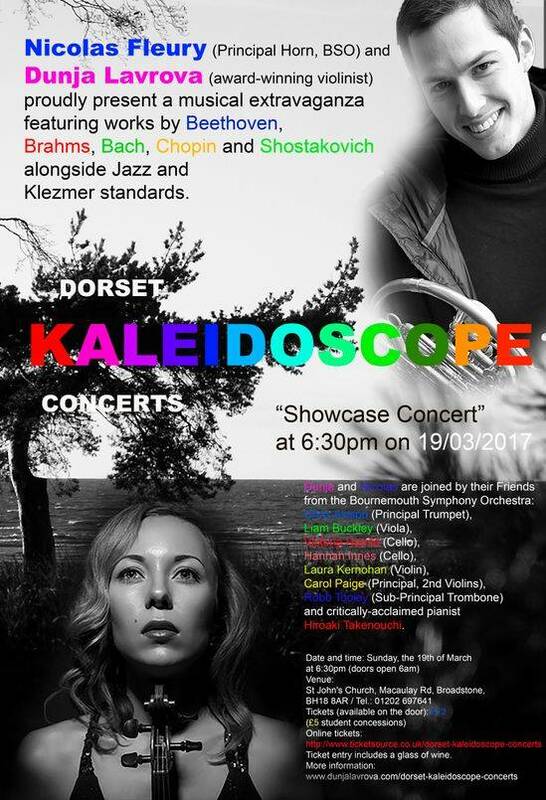 Dorset Kaleidoscope Concerts is the brand new and exciting chamber music concert series, which will bring Dorset a huge variety of exciting programmes, featuring both familiar and unfamiliar repertoire, performed by world-renowned musicians from across UK at some of Dorset's most beautiful venues. Dorset Kaleidoscope Series is the creation of husband and wife team: Nicolas Fleury, the Principal Horn of the Bournemouth Symphony Orchestra and the Aurora Orchestra, and Dunja Lavrova, the award-winning, critically-acclaimed violinist. 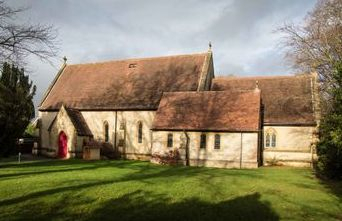 The opening Showcase Concert will take place, at St John's Church Broadstone, on the 19th of March at 6:30pm when Nicolas and Dunja will be joined by various members of the Bournemouth Symphony Orchestra, including section leaders, and award-winning instrumentalists from across the UK. The Showcase Concert will consist of an eclectic mix of music, featuring quartets, trios, duos and solo works by Bach, Beethoven, Brahms, Chopin and Shostakovich, alongside some Jazz and Klezmer selections (please see the full programme below). This really is music for all ages and tastes; a fun musical night not to be missed! There will also be the opportunity to meet the performers at the end of the concert. Please scroll down to find out more about our performers! Chris Avison is the Principal Trumpet of the Bournemouth Symphony Orchestra, a position he has held since September 2013. He has also performed with the Philharmonia Orchestra, the BBC Symphony Orchestra, the Royal Philharmonic Orchestra, the BBC Philharmonic Orchestra, the Orchestra of the Welsh National Opera, amongst others. Chris also performs in and runs the Inner City Brass Ensemble, a young quintet that is building its reputation within London and on the national festivals circuit. Chris originally started playing the cornet at the age of four, studying at home with his mum, Susan Avison until age 16, when he went on to study the trumpet with Paul Archibald, Dan Newell, and Paul Beniston. He obtained his Bachelor of Music at the Royal Welsh College of Music and Drama, studying under Philippe Schartz, gained a distinction in his post-graduate Master of Arts degree at the Royal Academy of Music, and was awarded the Diploma of the Royal Academy, studying with James Watson, Rod Franks, Robert Farley, John Hutchins and Mark David. 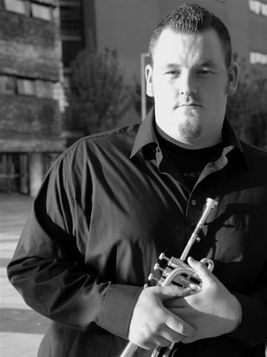 During his studies, Chris participated in masterclasses with Reinhold Friedrich, Eric Aubier, Malcolm McNab, Crispian Steele-Perkins, Derek Watkins, Canadian Brass, Onyx Brass, Fine Arts Brass and Boston Brass. Chris has recorded regularly with Bournemouth Symphony Orchestra, Philharmonia Orchestra and many other ensembles and has also had the honour of performing for His Royal Highness, the Prince of Wales, on three occasions. 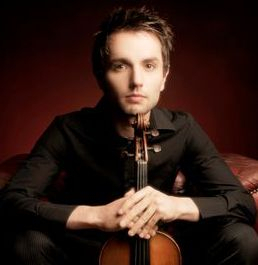 Liam Buckley graduated from the Royal Academy of Music with first-class honours in June 2010, having studied viola with Professor Jim Sleigh. Throughout his time at the Academy, he led the viola section for the Symphony and Concert Orchestras and also played with the Royal Academy Soloists Ensemble, the elite string ensemble, led by Clio Gould. In addition to this, he was the recipient of numerous performance prizes, including the Maurice Loban Prize for Viola, the York Bowen Prize and the Commended Award in the Theodore Holland Prize. As well as recently becoming a member of the Bournemouth Symphony Orchestra, Liam has performed with a variety of orchestras based in the UK, including: the National Symphony Orchestra, Southbank Sinfonia, BBC Symphony Orchestra, Orpheus Sinfonia, Brandenburg Sinfonia, Sinfonia Cymru, the National Youth Orchestra of Great Britain and the Britten Pears Orchestra, with which he took part in the annual Aldeburgh Festival. Nicolas Fleury began his studies of French and natural horn at the age of eight. Upon completing his studies in his native country France - first, in Nantes Conservatoire and later in Rueil Malmaison Conservatoire, Paris - he continued his education at the Royal College of Music under guidance of professors Timothy Brown, Timothy Jones and Sue Dent. He graduated in 2009 with distinction and The Tagore Gold Medal. 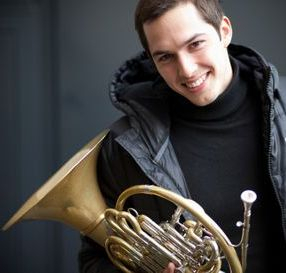 Nicolas is the Principal Horn of Bournemouth Symphony Orchestra and Aurora Orchestra, in addition to being The Emerging Artist with London Sinfonietta. He appears frequently as a guest principal horn in numerous orchestra around the world such as The London Symphony Orchestra, Deutsche Kammerphilharmonie Bremen, the Academy of St. Martins-in-the-Fields, New Zealand Symphony Orchestra, Orchestre de Chambre de Paris, Melbourne Symphony Orchestra among many others, with conductors such as Esa-Pekka Salonen, Lorin Maazel, Bernard Haitink, Andris Nelsons, Valery Gergiev, Sir Neville Marriner, Sir John Elliot Gardiner and Murray Perahia to name just a few. 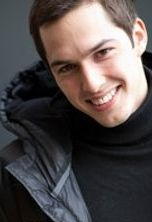 As a soloist, Nicolas regularly performs various works for horn and orchestra, including Mozart's horn concerti, "La Villanelle" by Paul Dukas and Britten's "Serenade" for Horn, Tenor and Strings. Victoria Harrild, cellist and founding member of the Eschenburg trio has performed as a soloist and chamber musician at numerous prestigious venues throughout Europe, including the Gulbenkian Institute, Lisbon, LSO St Luke’s, St Martin in-the-field’s and St-John’s, Smith Square, London. She has given live radio broadcasts of chamber music recitals on ORF, NDR and Deutschland Radio Kultur Klassik and has recorded the works of Tansy Davies for Naxos with specialist contemporary group, the Azalea Ensemble. Victoria has been an artist-in-residence at the Lake District and Aldeburgh festivals and was the Royal Philharmonic Society’s Young Artist from 2011-13. 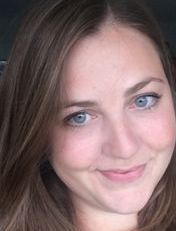 Victoria is passionate about the orchestral repertoire and works regularly with the London Symphony Orchestra and the orchestra of the Royal Opera House, and as a guest principal with the Ulster Orchestra, BBC National Orchestra of Wales and Bournemouth Symphony Orchestra. Hannah Rose Innes was born in Winchester, and started playing the cello at the age of five. She began studying with Robert Cohen in 2008, before joining the Purcell School in September of that year, where she held a scholarship under the government’s Music and Dance Scheme. During her time at the Purcell School, Hannah performed Tchaikovsky’s Rococo Variations with the school symphony orchestra and gave a solo recital at St Martin in the Fields, as well as several chamber music recitals at the Wigmore Hall. In 2009 she gave a performance of the Elgar Cello Concerto with the Aylesbury Symphony Orchestra, and a year later performed the Dvorak Cello Concerto with the Watford Symphony Orchestra. 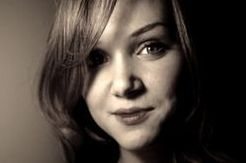 In 2010 Hannah was awarded the Rose Roitman award of a full scholarship to study at the Royal Academy of Music in London with Robert Cohen, where she was awarded a number of prizes, including the Harry Isaacs Piano Trio Prize, Douglas Cameron and the Montefiore prize, as well as playing in regular concerts with the Symphony and Concert orchestras. In 2013, Hannah was awarded the Waddell Memorial Prize in Edinburgh. She is a founding member of the award winning Delmege quartet, who have performed at venues across the UK, as well as in Norway and at the West Cork Chamber Music Festival. Since graduating from the RAM in 2014, Hannah has become a member of the Bournemouth Symphony Orchestra, performing regularly at venues across the south of England. Originally from Northern Ireland, Laura Kernohan came to England to read Music at Trinity Hall, Cambridge. 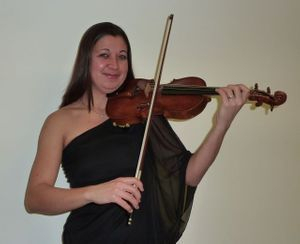 Whilst working for her undergraduate degree she began having violin lessons with Simon Fischer and once graduated she continued her studies with him at the Guildhall School of Music and Drama. Laura has been a member of the 1st violin section of the Bournemouth Symphony Orchestra for the past six years. Outside of the Orchestra's busy Symphonic schedule she relishes the opportunity to play chamber music with friends. When she is not playing her violin Laura loves exploring the Dorset coastline and its many coffee shops. Russian-British violinist, Dunja Lavrova, began her musical studies in St Petersburg. By the age of 11, she had already won numerous competitions, toured Germany and Peru and frequently appeared on National Television as a prodigious young violinist. At the age of 13, Dunja won a full scholarship at The Yehudi Menuhin School and moved to the U.K. permanently, leaving the rest of her family behind in Russia. She continued her higher education at the Royal College of Music and won various awards during that time, most notably The Tagore Gold Medal, presented by His Royal Highness, Prince Charles. Dunja has given solo and chamber recitals and performed as a soloist with various renowned U.K. and Russian orchestras at venues such as the St Petersburg Philharmonia Grand Hall, Bol’shoy Theatre, Queen Elizabeth Hall, Kings Place, Wigmore Hall, Cadogan Hall and Ronnie Scott's Jazz Club as well as at numerous other concerts and festivals around the U.K., Europe, Russia and South America. 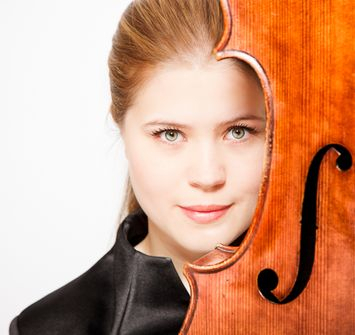 She has participated in masterclasses with some of the greatest professors, including Mstislav Rostropovich, Igor Oistrakh, Pierre Amoyal, Zahar Bron, Zvi Zeitlin, Dora Schwarzberg and others. Fanatical about the “Golden Age of Violin” era and on a self-proclaimed “mission” to bring the scores and the playing style of that period to the audiences of today, Dunja recorded her highly acclaimed “authentically-recorded” debut album in 2015 and more recently became an editor for Carl Fischer Music (USA) of re-publications of their archived scores from that period. In addition to performing more traditional repertoire, Dunja frequently performs with world-class Jazz and Pop artists, Latin and Rock bands, in shows, and alongside Big Bands. Carol Paige grew up in Somerset and began learning the violin aged 7. She studied at Cardiff University following this with postgraduate study at the Royal Academy of Music. Carol is the Principal 2nd Violin of the Bournemouth Symphony Orchestra and alongside this when time permits, she enjoys guesting in other orchestras. She is very much in demand as an orchestral musician and has played Principal 2nd violin with The Royal Opera House Orchestra Covent Garden, Royal Liverpool Philharmonic Orchestra, City of Birmingham Symphony Orchestra, Welsh National Opera and the Royal Philharmonic Concert Orchestra. Carol also enjoys chamber music when she gets the chance and a recent highlight was playing the Mendelssohn Octet alongside International soloist Augustin Hadelich. Heralded by The Times as “just the sort of champion the newest of new music needs”, while being praised as “impeccable in his pianism and unfailing in his idiomatic grasp” by Gramophone, Hiroaki Takenouchi’s curiosity and a natural penchant for integrity makes his playing and vast repertoire unique amongst his generation of pianists: his love for the music of classical masters – particularly Haydn, Beethoven and Chopin – sits side by side with his passion for the music of Medtner, lesser-known British composers such as Sterndale Bennett and Parry, and the contemporary repertoire. As a soloist, he has appeared on many concert platforms including the Wigmore Hall, Tokyo Opera City and the South Bank Centre. 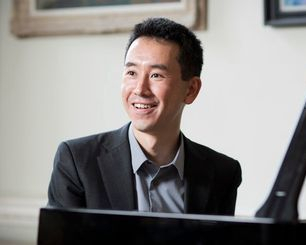 He has also performed at festivals in Bath, Cheltenham and Salzburg and given recitals in the UK, Japan, Austria, Germany, Switzerland, Portugal, Italy and Canada. His more unusual recent projects include: the Rarities of Piano Repertoire Festival in Husum (Germany); a BBC Four documentary The Prince and the Composer on the life and music of Parry alongside HRH The Prince of Wales; BBC Radio 3’s Composer of the Week piano solo works by Sterndale Bennett broadcast April 2016, and the piano solo works of Alexander Campbell Mackenzie, also recorded for BBC Radio 3’s Composer of the Week which will be broadcast the week beginning 6 February 2017. Since 2012 Takenouchi has been teaching piano at the Royal Conservatoire of Scotland (Glasgow). He also returns every summer to give master classes at the Poros International Piano Academy (Greece) and Ingenium International Music Academy (UK). 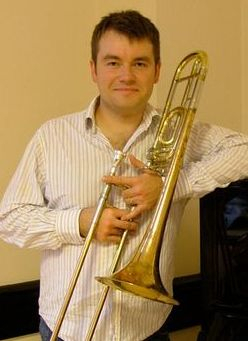 Robb Tooley started playing the trombone aged 11 and was a member of the National Youth Brass Band of Great Britain, and then the National Youth Orchestra. He studied at the Guildhall School of Music and Drama in London, and from 1999-2001 he was a member of the European Union Youth Orchestra. With the EUYO he performed with conductors such as Bernard Haitink and Sir Colin Davis all over the continent and at the BBC Proms. In 2001 he was awarded the Guildhall Brass Prize. He has performed with the Orchestra of the Royal Opera House Covent Garden, London Philharmonic, Royal Philharmonic, London Symphony Orchestra, BBC Symphony Orchestra, BBC Concert Orchestra, English National Opera and Philharmonia orchestras in the capital, as well as the BBC Scottish Symphony, BBC National Orchestra of Wales, Birmingham Royal Ballet, Scottish Opera and Royal Northern Sinfonia around the UK. As a chamber musician he has performed with London Brass and the Endymion Ensemble as well as the English Brass Ensemble. His work has taken him to places as far afield as China, India, Brazil and the USA. Since 2009 he has been a member of the Bournemouth Symphony Orchestra, where he is the Sub-Principal Trombone.